For 88 days I've stood before you and said we would work tirelessly to bring Jayme Closs home. Reporter: It was the moment everyone in the small town hoped for. The sheriff came to my house, and he was smiling, and he had the best news ever. Reporter: Tonight that aunt releasing the first photo of Jayme after the two were reunited this afternoon. 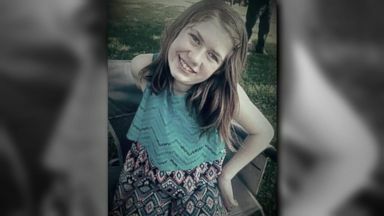 Nearly three months after her parents were murdered, she was located about 70 miles away from where she was last seen. Jayme is the real her Reporter: She escaped her alleged captor on her own, running into the arms of Jeannie who was out walking her dog. I saw a young woman approaching. She was crying and said I need help. I don't know where I am. I'm lost, please help me. Reporter: You knew something was wrong. Right. I knew she was scared and wherever she left from she left quickly because she had shoes that were too big for her, black leggings and a sweatshirt. She just grabbed onto me because it was icy, and she said I'm Jayme. Reporter: When she asked where was she, she pointed across the street. I kept telling her, everything's going to be okay. Reporter: Want being to put distance between her and the house she brought her down the street to their house. To see her walk into my kitchen, it was like seeing a ghost for real. It took my breath away, you know. It's kind of hard for me to wrap my mind around it. Reporter: Incredibly, Jayme was able it to give the name of the person who kidnapped her and gave a description of the vehicle that led to his arrest. One of my patrol sergeants happened to find a vehicle that matched the description that Jayme gave my detective and pulled the suspect over and took him into custody at that time. Reporter: Jay Thomas expected to be charged with two counts of homicide and one count of kidnapping. In cases like this we often need a big break, and it was Jay me herself who gave us that break. A missing 13 year old girl. 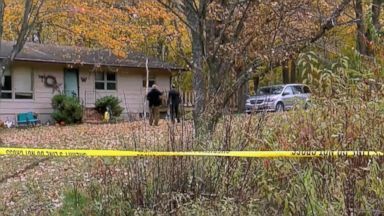 Reporter: A mysterious 911 call made in the middle of the night led authorities to the Closs home in Barron, Wisconsin. The call was given that night from the residence on a cell phone, but no contact was made with somebody that was on the other line. There was no one communicating with our dispatcher. Reporter: Police arrived within minutes of the call. Jayme's dad James lay dying. Her mother Denise already dead. Neighbors say they heard gunshots. I heard one shot and the second shot was louder yet. Reporter: Authorities found bullet casings but no weapon and no Jayme. An amber alert was issued nationwide and local authorities enlisted the FBI to help them. Our goal to bring Jayme home. She is the sweetest little girl. She wouldn't hurt a soul. Reporter: Thousands of tips poured in from across the country. While thousands of volunteers combed the countryside searching for the teenager. Do you think Jayme's still alive? I do. I think there's a lot of hope. Reporter: Hope but no Jayme. A reward was offered. Please, if you have information, we want to hear from you. Reporter: Months passed, snow piled up at the once-happy Closs home. The national spotlight fading. ??? Let peace begin with me ??? Reporter: During the holidays, Jay me's home town held a tree lighting ceremony reminding people not to forget about the teen. Our families, we just want Jayme home and pray ever day. Thank you for being here this afternoon. Reporter: Then the announcement out of the blue everyone had been hoping for. Last night other collective promise was fulfilled with Jayme's safe recovery. Thank you to all. She was recognized immediately because of the work we did, the public did and the media did. Everybody's been really holding hope. That's just wonderful news. I'm glad. She's going to have a loving community to come home to. Reporter: Authorities have yet to explain how Jayme was able to escape her captor but he wasn't at home at the time. We believe the suspect was out looking for her when law enforcement made contact with her. Reporter: There was no social media contacts with her but that he specifically targeted the young girl. Nothing in this case shows the suspect knew anyone at the Closs home. He had specific intentions to kidnap Jayme and went to great lengths to prepare to kidnap her, like shaving his head, not to leave hair behind. Reporter: Authorities recovered a shotgun they say was consistent with what was used to kill her parenting. Jayme is talking and cooperating with law enforcement. Her road to recovery could be a long one. It's not a surprise to any health care professional that this child will have lasting consequences to what she lived through. That doesn't mean that she won't be happy and functional and successful in her life. Reporter: Elizabeth smart who also escaped after being kidnapped for nine months called Jayme's recovery a miracle, writing that no matter what may unfold in her story, remember that this young woman has survived and whatever other details may surface, the most important of them is that she survived. It's important to draw a line in the sand and respect her privacy, because she is going through an acute trauma. This is not a pop culture event, this is a child's life. Reporter: Meanwhile, Jayme's family is excited to just hold the teen he thought they might have lost forever. Going to tell her how much I love her and missed her and give her the biggest hug ever. And that we're all here for her. Our thanks to Alex. 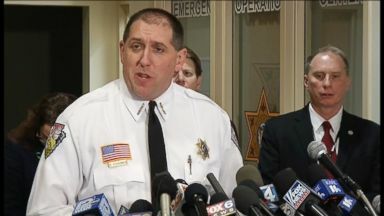 Jayme Closs was found an hour away from her hometown and a suspect is in custody in connection to the case. ABC News' Janai Norman reports.